Spring (April), Summer (July) and Fall (October). 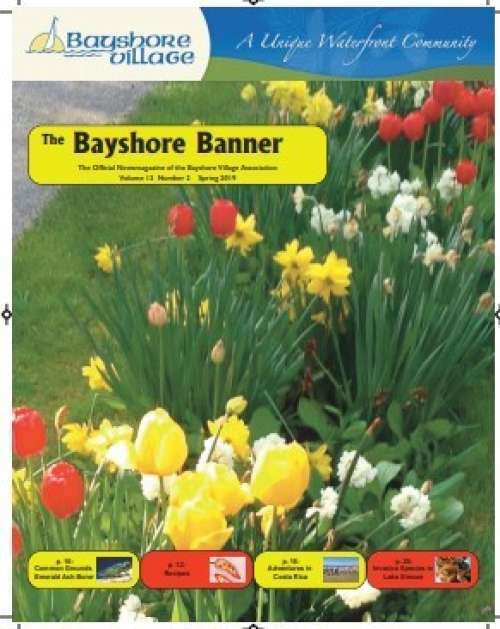 On this page, you can download recent issues of the Bayshore Banner by clicking on the links below. If you have an item or article you think would be of interest to our community, please forward it to the editor, Noel Cooper, noelc@cottagecountry.net. If you know of a company wanting to advertise, please send them to Jack Pignatell, bayshoreads4@gmail.com.